Jonathan Burrogano has been working at the firm for several years while completing his studies. His diversified experience has allowed him to develop a variety of both legal and administrative skills. 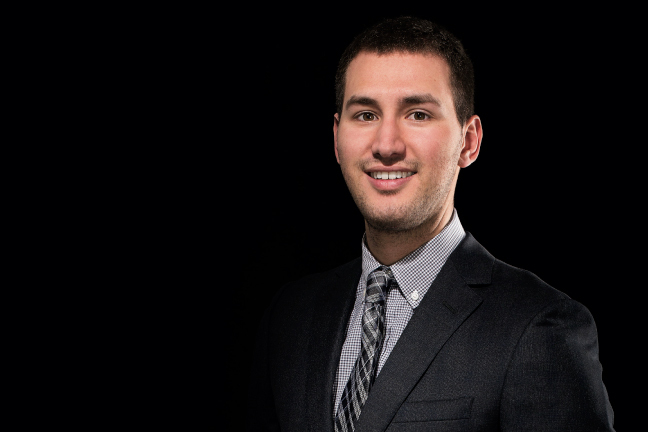 After obtaining his law degree from the University of Sherbrooke, Jonathan decided to broaden his academic knowledge in administration and entered a management program at McGill University. He completed his training with a program in negotiation at the Massachusetts Institute of Technology (MIT) in 2018. Jonathan will begin working on a Master’s degree in notarial law in the fall of 2018, after which, he will join our firm to complete his notarial internship.